Drai’s rooftop oasis, towering 11 stories above the world-famous Las Vegas Strip, is redefining the Vegas entertainment experience. The crowning jewel of The Cromwell hotel, Drai’s Nightclub provides an unrivaled view encompassing the entire Strip and beyond. Created by nightlife impresario Victor Drai, this 65,000 square foot venue offers a multi-sensory environment taking entertainment and service to new heights. Drai’s Nightclub spans over 7,000 square feet and features the most state of the art high definition LEDs in production – including a towering 80-sided LED discoball. Guests can also enjoy the luxurious rooftop patio that includes multiple pools, towering palm trees and a variety of cabanas and bungalows encompassing the various indoor & outdoor seating options to accommodate its 2,500 guest capacity. The Strip’s first and only full-concert nightlife experience, the Drai’s LIVE series at Drai’s Nightclub offers an unparalleled lineup of today’s top Pop, R&B and Hip-Hop artists, providing the ultimate night out for club-goers and music lovers. The celebrated LIVE series features resident artists such as Chris Brown, Trey Songz, Future, T.I.P., Jeremih, Big Sean, G-Eazy and many more. 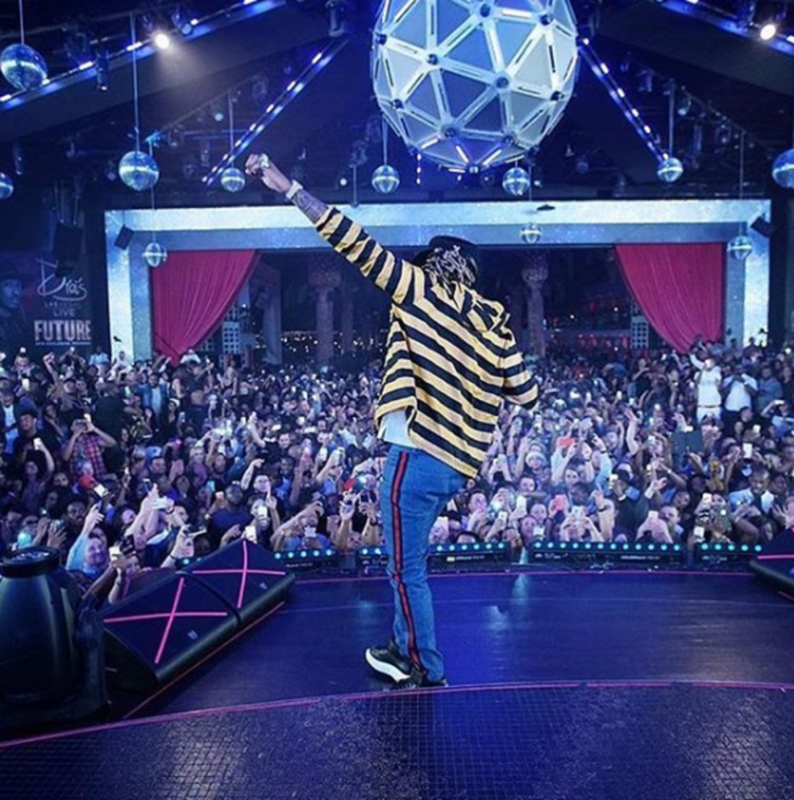 Performed onstage inside of the dazzling rooftop venue, Drai’s LIVE allows for a unique full-sensory evening out, supplying high caliber performances by arena-level artists in the energizing and intimate atmosphere of a nightclub. All patrons must be 21 years of age with valid ID. US residents must bring state or federal issued ID foreign residents must have passports. No copies or paper ID’s will be accepted. Fashionable upscale attire required. Dress code strictly enforced. Management reserves all rights. No outside food, beverage, gum, oversized bags, or prescription medicine permitted inside the property. All persons will be subject to search upon entry. Wanticket guests are required to printed copy of the scannable ticket and e-mail confirmation, a valid photo I.D., and the credit card that the ticket was purchased. Any disregard of above disclaimer will invalidate ticket. Fashionable upscale attire required. Dress Code strictly enforced. Contact City VIP Concierge at 702.741.2489 or agent@CityVIPConcierge.com for more information. Follow and friend us on the latest social media outlets to gain access to exclusive Las Vegas content. Our Hotline is available 24 Hours a day so reach out anytime.